Jammu and Kashmir activist Sushil Pandit on Saturday advised state Chief Minister Mehbooba Mufti not to wade into foreign policy issues. His advice came after Mufti appealed the Centre to revive the Lahore Declaration for restoring peace in Kashmir Valley. Speaking to ANI, Pandit said, " Mehbooba Mufti is wading into foreign policy issues and that too in the sensitive area of India and Pakistan. She already has a lot of work on her plate; she should address that before she starts offering gratuity advice on Indo-Pak relation in the light of the Lahore declaration". Earlier in the day, Mehbooba said, "I appeal Centre to revive Lahore Declaration so that we can live peacefully in Jammu and Kashmir." She further asserted that trade routes with Pakistan shouldn't be blocked, instead there should be crackdown on drugs and Cannabis which are smuggled from there. 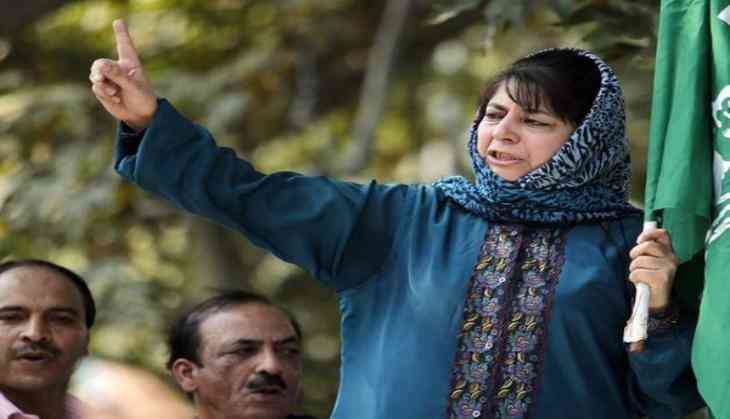 The Chief Minister's statement comes a day after she had warned the Central Government against diluting Article 370, which grants special status to the state. "Any changes in the Article 370 will not be acceptable. I won't hesitate in saying that nobody will even hold the Tricolour in Kashmir if the article is scrapped," she said at an event yesterday. The Lahore Declaration is a bilateral agreement and governance treaty between India and Pakistan which was signed in 1999 before the Kargil war. The treaty, signed by then Indian Prime Minister Atal Bihari Vajpayee and his Pakistan counterpart Nawaz Sharif. A mutual understanding for development of atomic arsenals and to avoid accidental and unauthorized operational use of nuclear weapons was developed in the treaty. Meanwhile, the Centre has condemned Mufti's recent statement on the Indian flag. "This is the most shocking and ridiculous statement which Mufti has made. Tricolour is sacrosanct to us. It will fly high in Jammu and Kashmir as much as it does in any other state of the Indian Union. Being in power does not make one misuse it!" Minister of State in the Prime Minister's office (MoS PMO) Jitendra Singh told ANI.